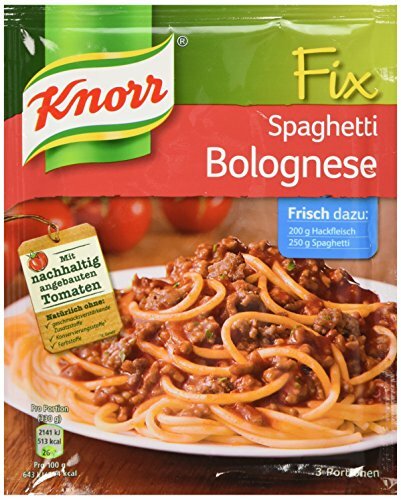 Prepare delicious Spaghetti with Knorr’s Fix for Spaghetti Bolognese. 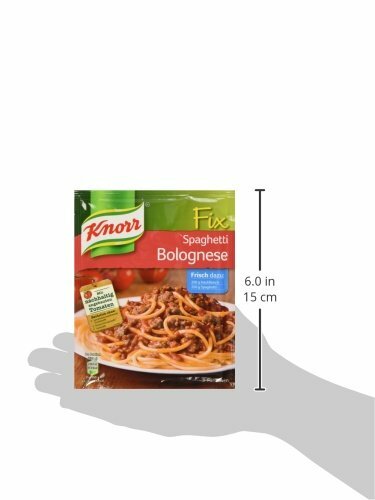 Serve your favorite Spaghetti with this delicious sauce. 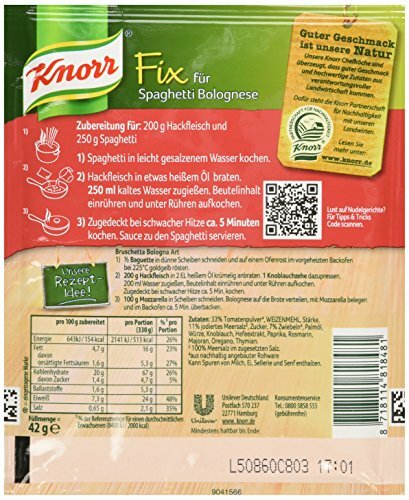 You’ll need a little Mazola Oil, 1 cup of water and 1 package of Knorr Fix für Spaghetti Bolognese. Your stove top cooking time for the Sauce is approximately 5 minutes with a lidded pot. Guten Appetit!Original made in Germany product .